Dog is a man’s best friend and just like a family member. Building a house for your beloved pet is the best way to express love. It can be a very fun, rewarding and useful project. This will make sure your dog is safe and comfortable. It has its very own place to sleep in and protection against harsh weather conditions. Fancy dog houses are very expensive. Instead of investing in them, follow these simple instructions and the task will be completed over the weekend. Your best friend will have its own personal abode. You start off by considering the breed of your dog. 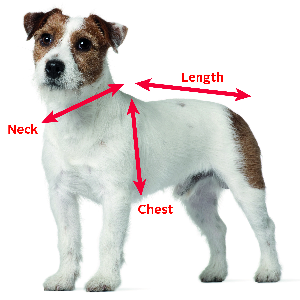 The variation in the structure depends on the needs of the dog. Measurement of the dog is very important, as the house should be big enough for when it is fully grown. Even if it is a puppy now, check the average full grown size and build accordingly. Start with making the base. Construct a square base by using 2x4 boards according to your dimensions. Nail the boards together at the corners. Next, cut 1/2'' plywood for the frame. Attach it to the frame on the borders with nails. Now start constructing the side and rear wall frames with 2x4 boards. 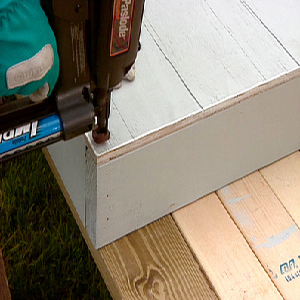 When making the front wall frame, exclude the center stud to make room for entrance. As with the base, cut and nail plywood to the frames, assuring that the corners are flush. Then cut a large entrance hole using a jigsaw. Position the walls on the base and nail them. Decide the pitch of the roof and cut struts accordingly to the height. Nail the struts in place from the underside of the frame. 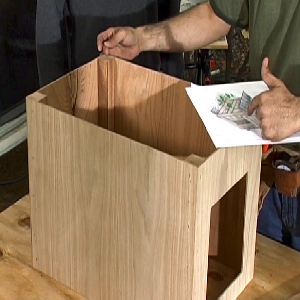 Determine the desired overhang and cut the top board to those dimensions. Following the instructions on the kit, place the roof panels and nail one by one on the frame. Shingles can be used to prevent any form of leakage. They can be nailed according to your desired pattern. 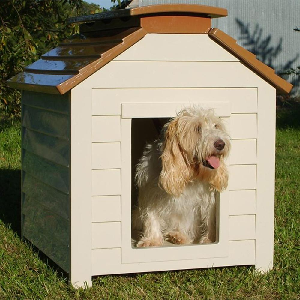 Also customize it with your choice of paint and a piece of carpet to keep your dog cozy.